As we were exploring the back roads of Berkeley County this past weekend it was proper to pay our respects to General Francis Marion - the Swamp Fox. Marion's role in the war changed course after an odd accident in March of 1780. Attending a dinner party at the Charleston home of a fellow officer, Marion found that the host, in accordance with 18th-century custom, had locked all the doors while he toasted the American cause. The toasts went on and on, and Marion, who was not a drinking man, felt trapped. He escaped by jumping out a second story window, but broke his ankle in the fall. 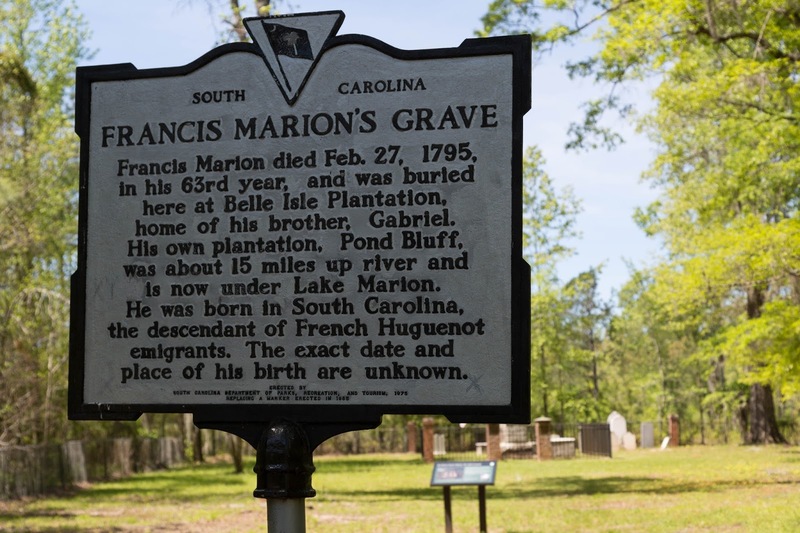 Marion left town to recuperate in the country, with the fortunate result that he was not captured when the British took Charleston that May.With the American army in retreat, things looked bad in South Carolina. 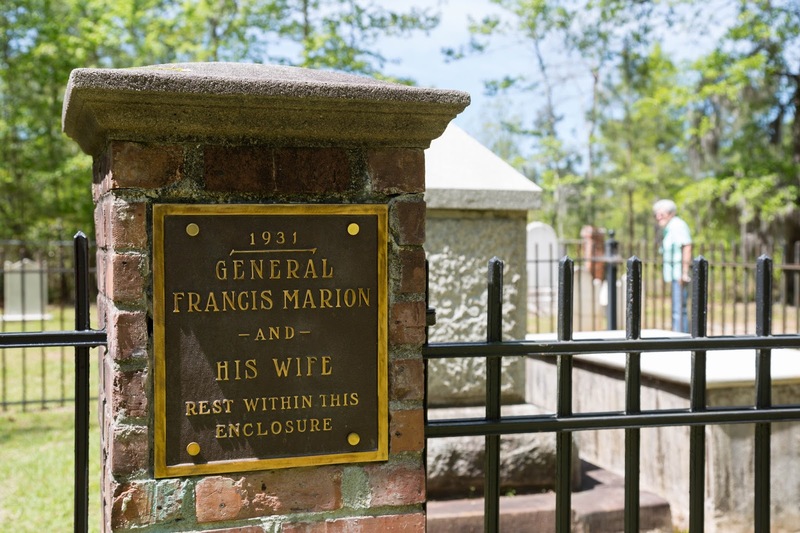 Marion took command of a militia and had his first military success that August, when he led 50 men in a raid against the British. Hiding in dense foliage, the unit attacked an enemy encampment from behind and rescued 150 American prisoners. Though often outnumbered, Marion's militia would continue to use guerilla tactics to surprise enemy regiments, with great success. Because the British never knew where Marion was or where he might strike, they had to divide their forces, weakening them. By needling the enemy and inspiring patriotism among the locals, Busick says, Marion "helped make South Carolina an inhospitable place for the British. Marion and his followers played the role of David to the British Goliath. 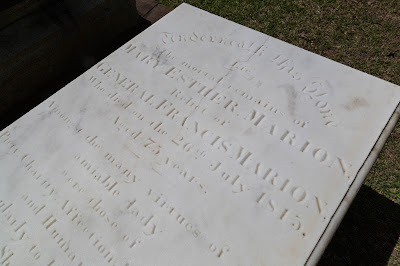 "In November of 1780, Marion earned the nickname he's remembered by today. 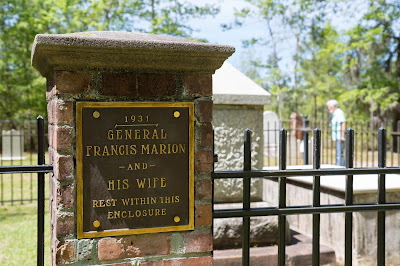 British Lieutenant Colonel Banastre Tarleton, informed of Marion's whereabouts by an escaped prisoner, chased the American militia for seven hours, covering some 26 miles. Marion escaped into a swamp, and Tarleton gave up, cursing, "As for this damned old fox, the Devil himself could not catch him." 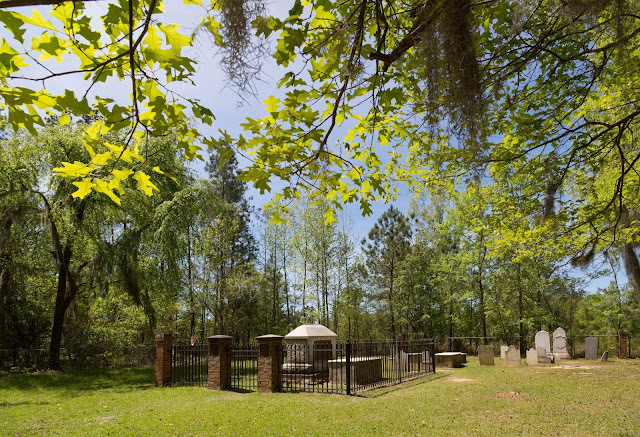 The story got around, and soon the locals—who loathed the British occupation—were cheering the Swamp Fox. 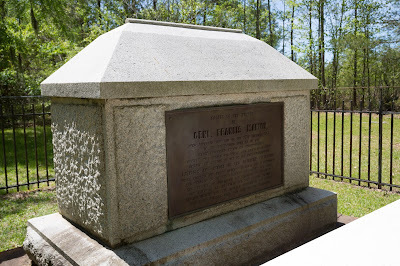 The quote that earned him his title was after Colonel Tarleton had chased him through swamps for over 26 hours and cursed, "As for this damned old fox, the Devil himself could not catch him." From everything I've ever heard of him, he was quite a character!